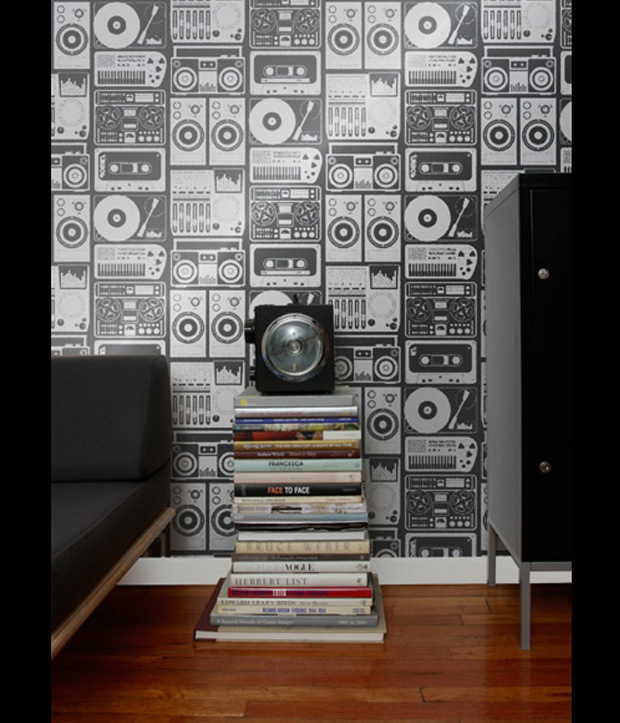 When I saw this ultra-cool wallpaper, I immediately thought of my assistant FabGirl Sabrina who LOVES music and every other musician/writer/producer I know in Nashville. Analog Nights is a wallpaper designed by New York-based artist and graphic designer Aimée Wilder. This music inspired print is available in 3 colors Thunder (Grey), Chocolate (Brown) and Antique (blue).